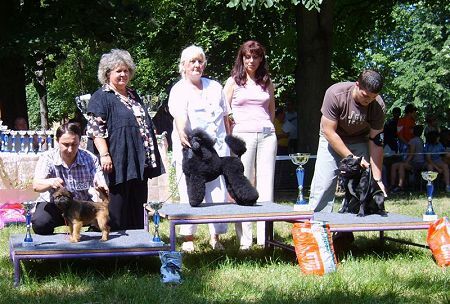 We have not been showing much in 2008. 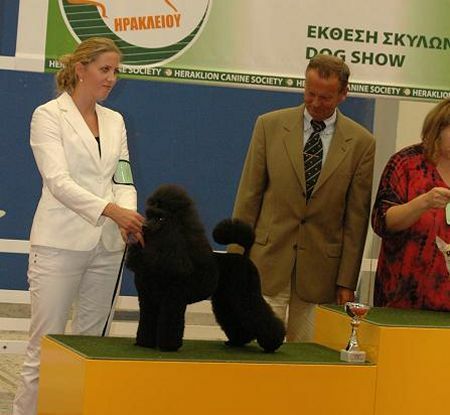 So much the better we are so pleased with the results of the Warming poodles outside the kennel - both inside and outside Denmark. 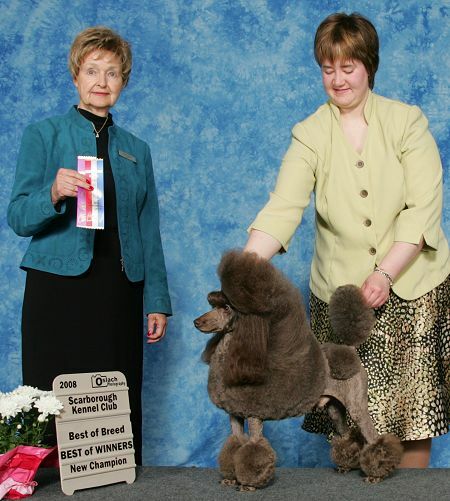 US- and Canadian champion. 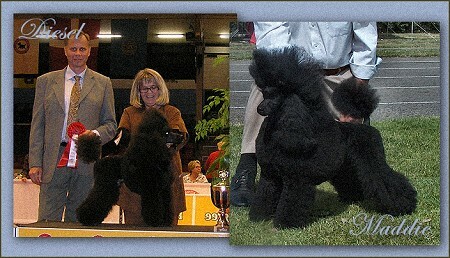 Top-producer in the US, so far with 5 champion offspring but with more to come. 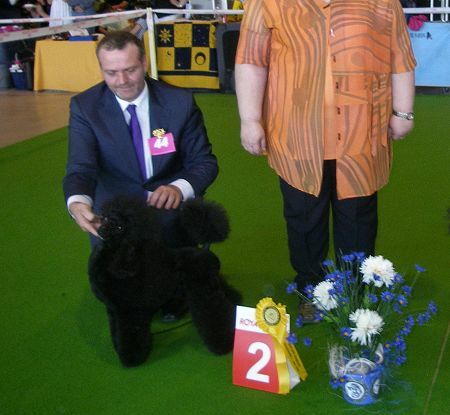 Congratulations to Raymond-son Leonardo da Maya - owned by Doris Backe in Sweden. 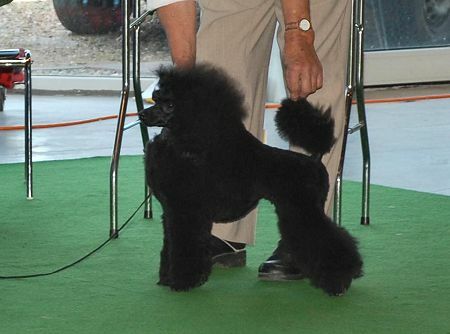 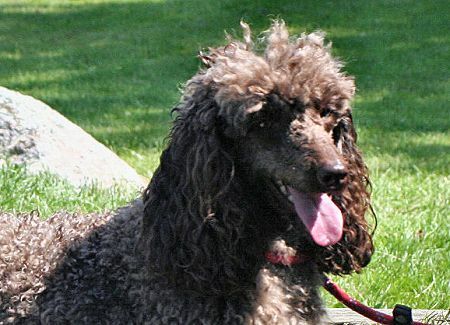 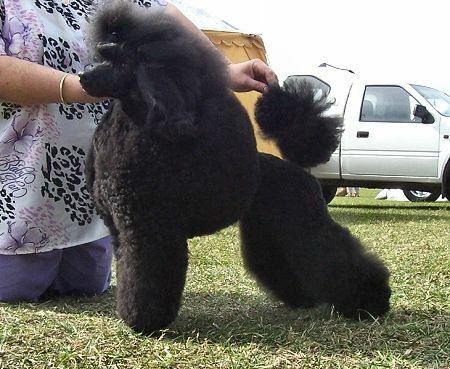 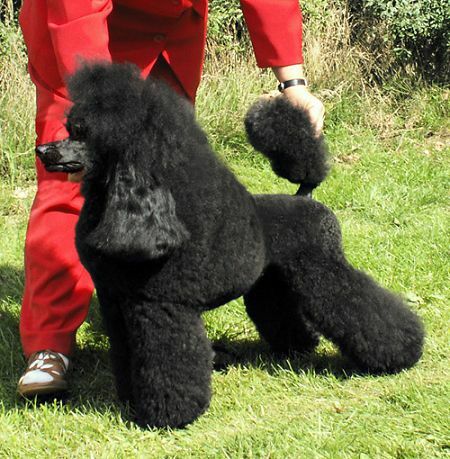 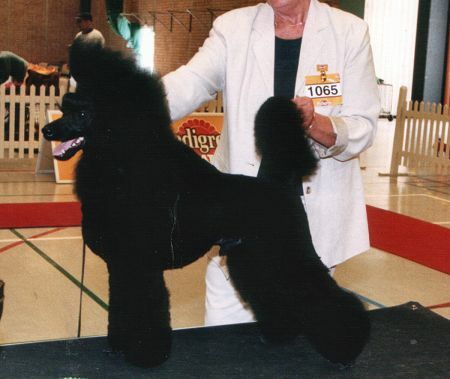 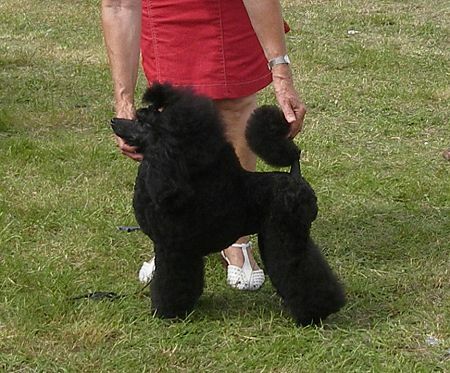 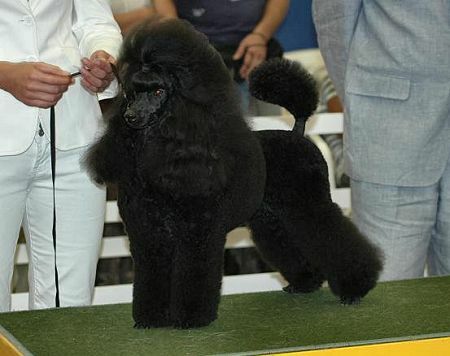 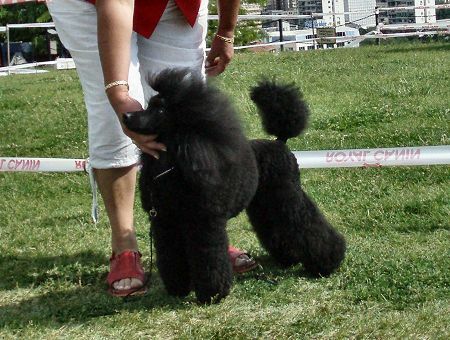 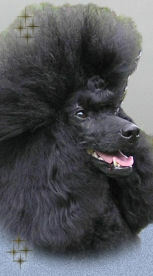 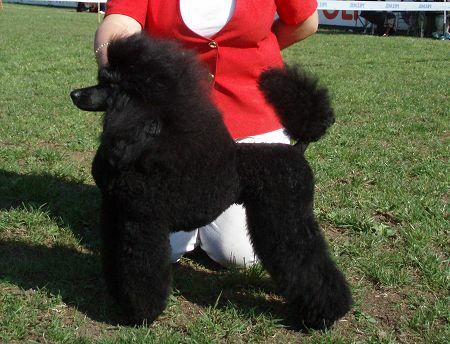 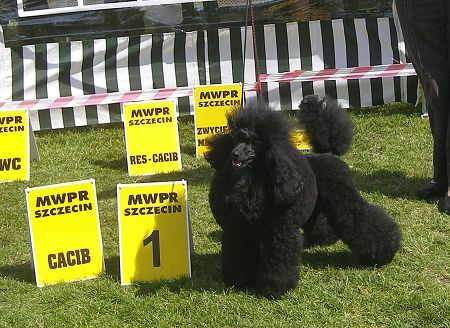 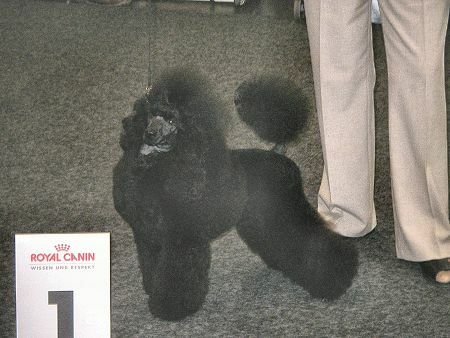 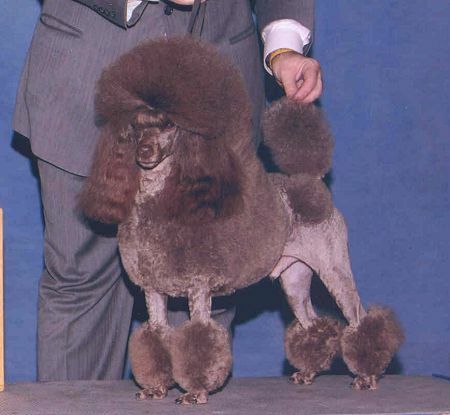 Leonardo went BOB and the Swedish Poodle National 2008 and he finished his Danish and International title. 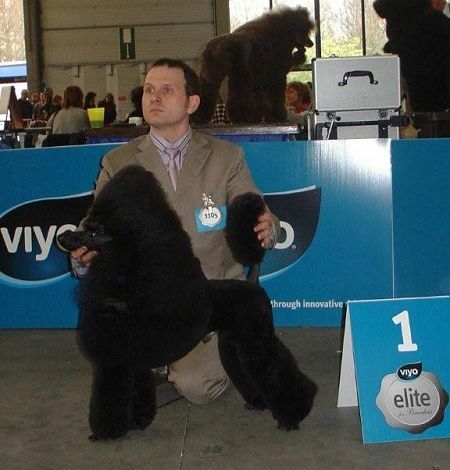 We can only say that we are impressed by the results of the Raymond offspring. 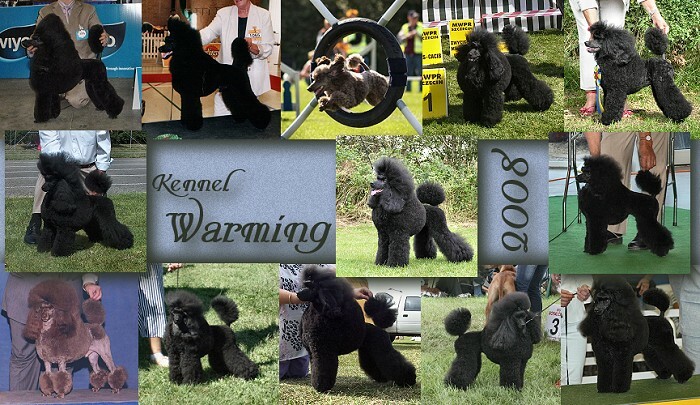 More puppies of Raymond will be seen in the showring in the future. 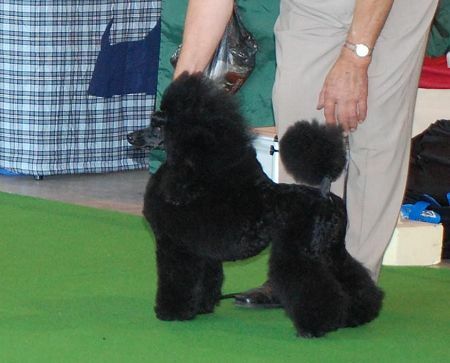 Not only are the Raymond offspring showdogs of high quality but they have all enherited his fantastic teperament: So happy, out-going, charming and free - you simply cannot help loving them. 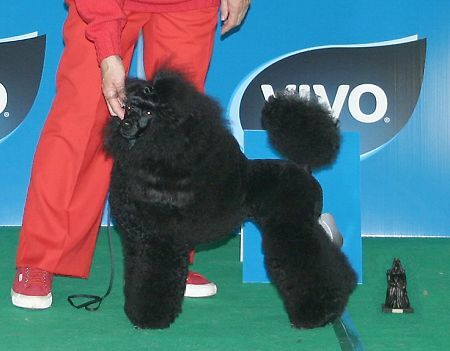 Thanks to Jean and Graeme i Australia for letting us have this wonderful boy. 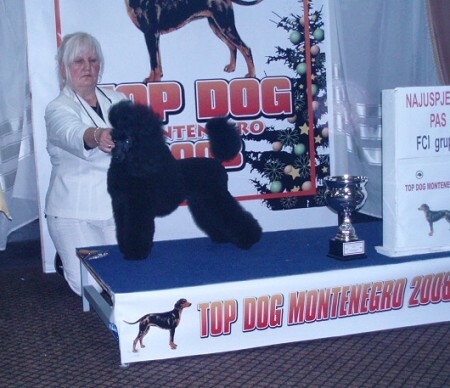 Congratulations to owner Milena - simply fantastic! 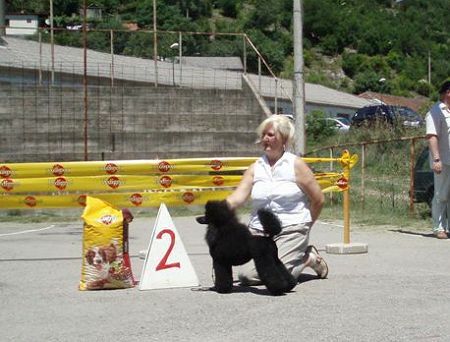 Congratulations to Milena - well done! 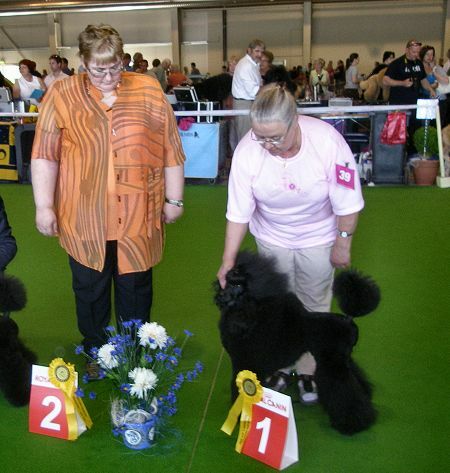 Congratulations to Jytte and Lynge! 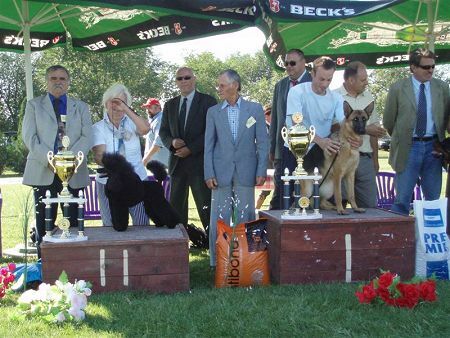 "Queenie" went 2nd at the DCH Danish Agility Championship! 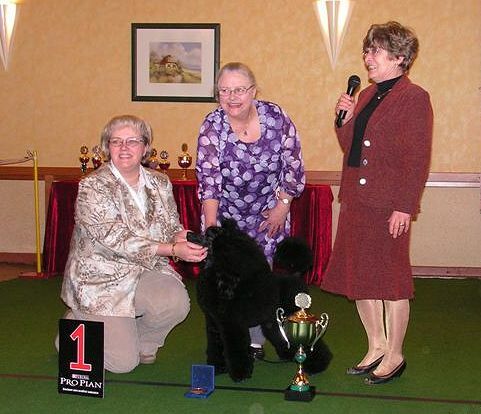 Congratulations Karin and Queenie - you are the top! 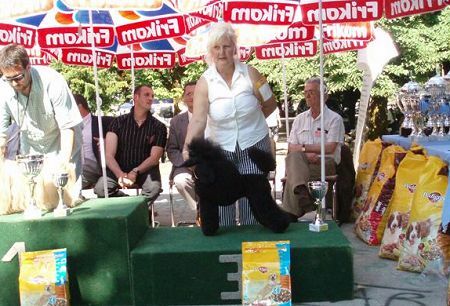 She did in over a week-end - Fantastic! 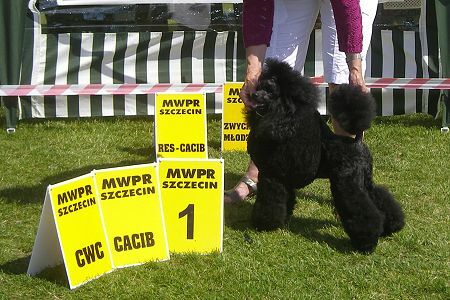 has become Danish Obedience Champion. 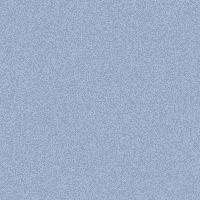 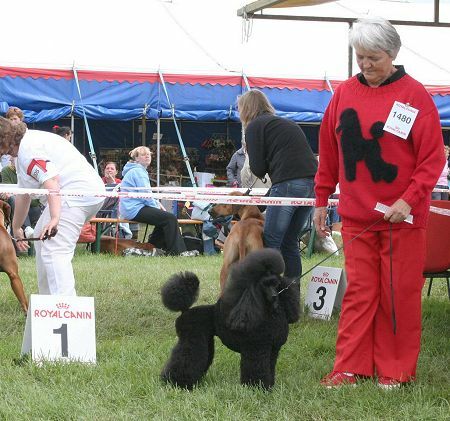 participate in the Danish Agility Championship this year. 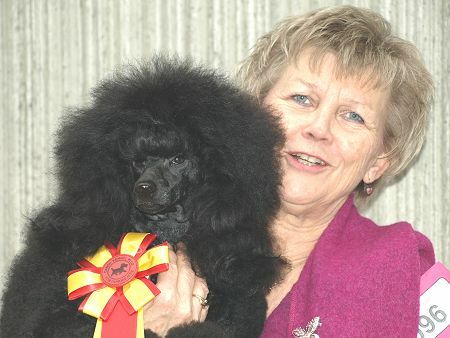 Congratulations to owner Karin Rasmussen! 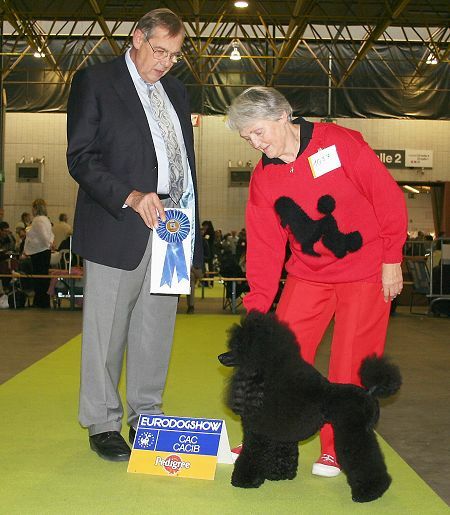 Congratulations to the Molders family - we are proud of you! 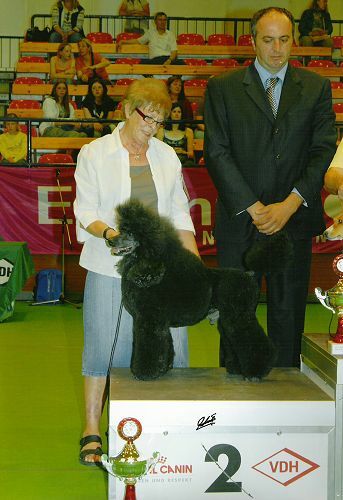 wnd she went Luxemburg Youth Champion! 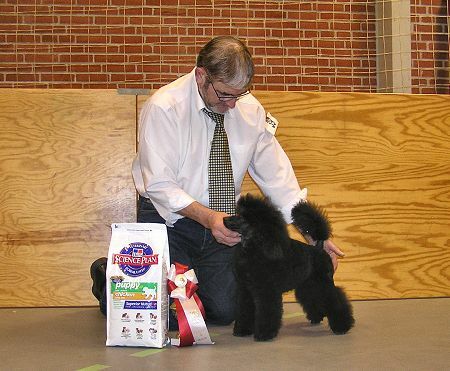 Two litter mates finished their tittles in two days- on in Denmark and one in the US. 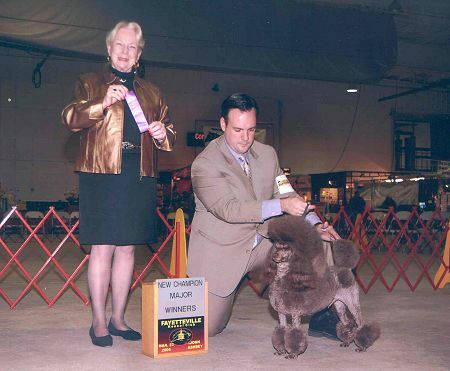 Who went New American Champion onMarch 24th! 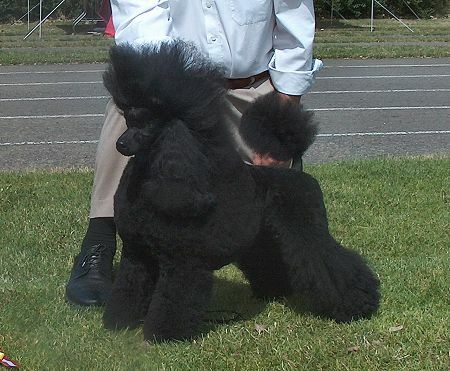 "Gabe" went to the US only a year ago to live with Marion Epperson. 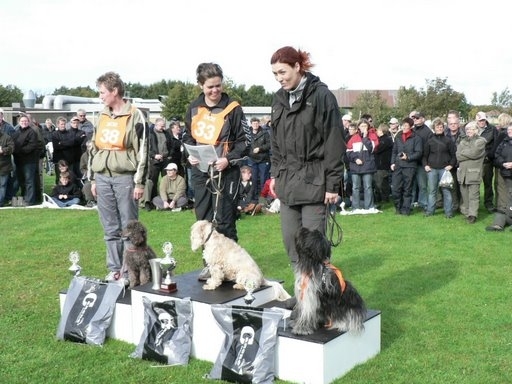 Who went New Danish Champion on March 23rd! 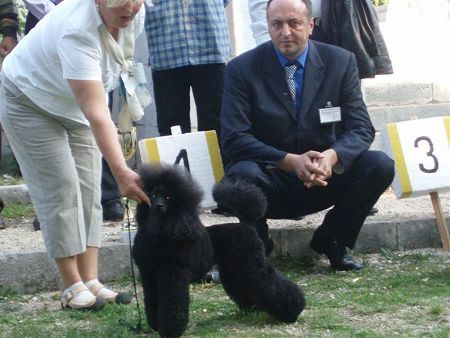 Good luck to the both of you - we know that you will do great together! 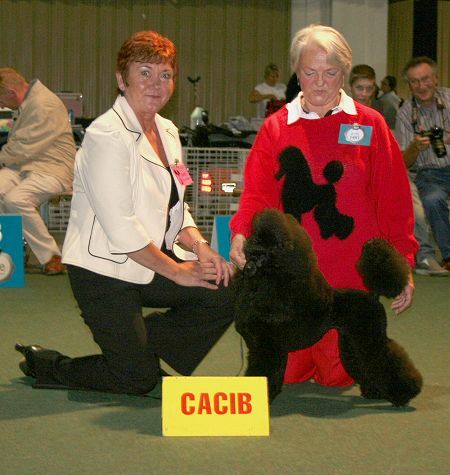 ganed the Cacib and finished her INTERNTIONAL CHAMPION title! 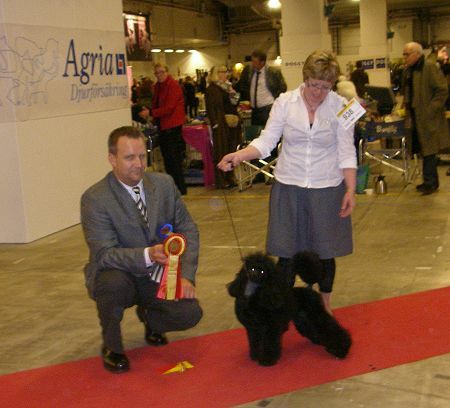 placed two of our dogs as BOB and BOS at a show in Denmark. 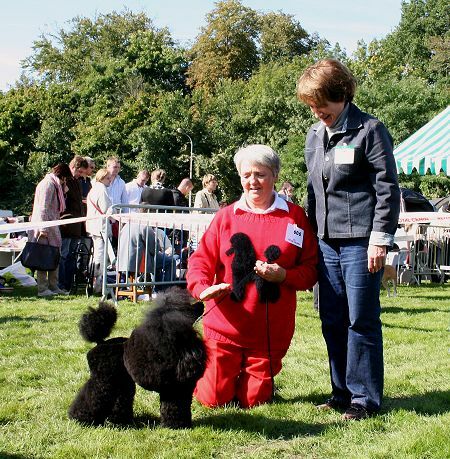 This judge really knows what he wants! 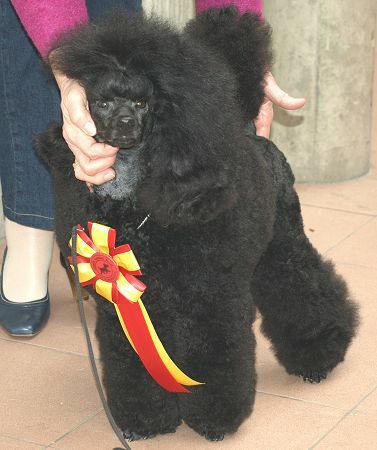 Congratulations to owner Anita Holm - you have done SO well with this little girl. 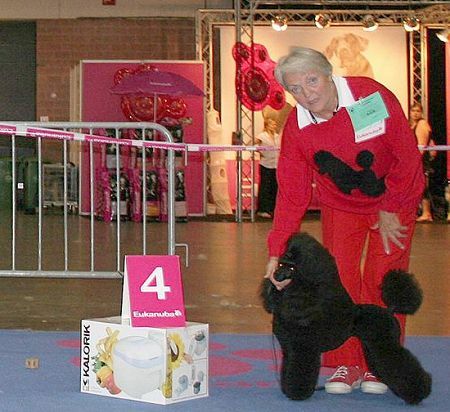 We only wish that we had been there to celebrate with you. 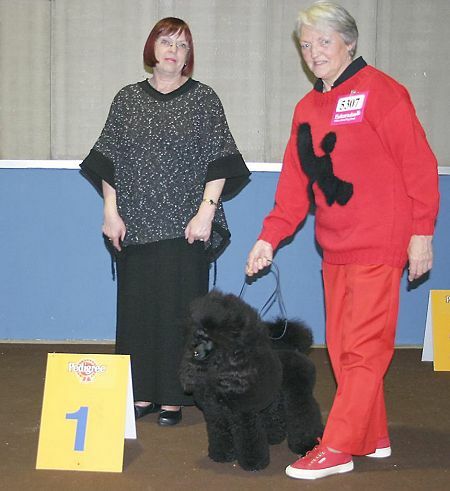 Congratulations to owner Anita Holm!